There is a new sports genre taking over this country. I’m not talking about Lacrosse or Soccer, or even Football leaving Baseball behind as America’s Pastime (although that has clearly happened already). No, this is a field within an entirely new arena. Really, it is in a league of its own. 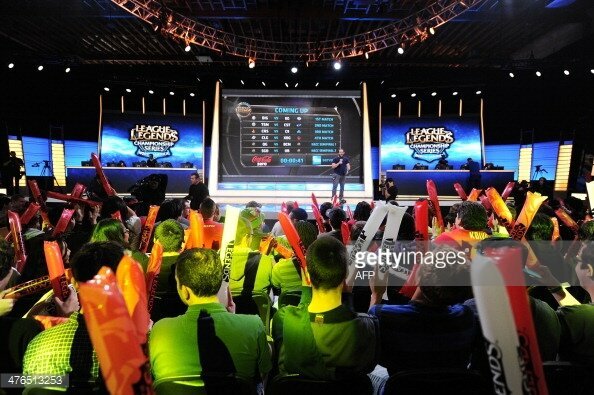 ESports, as it is called, is the world of competitive video gaming. Now before you jump up in protest, let me explain. The video games that existed 30 years ago on computer screens and Atari’s are not the same as the games that we see today. What those games did though, was allow games to take root and create a generation of young adults that view games as a part of their life. And as technology evolved, so did the games. By the late 90’s, games on the computer were going online, allowing players to compete with other people across the country. The speed was slow and the games were limited, but the enthusiasm was there for early gems like StarCraft and Age of Empires. So as the Internet got faster and the games more diverse, the number of players blossomed in the early 2000’s, when even more online options became available. World of Warcraft took the planet by storm in 2004 by offering players the chance to play in a massive online world with all of their friends at once. The cooperative aspects of the game cannot be understated, as it soared to more than 5 million users in a little less than two years after its release. Online gaming only grew from there. The late 2000’s introduced games like League of Legends and Call of Duty: Modern Warfare. Some of these games like League of Legends have come to dominate the gaming world, with an estimated 67 million monthly users. People aren’t just playing these games. Think about this for a second: if you grew up playing pickup football after school with your friends, did you not all have a favorite team? Now that you’re older, don’t you play less and watch more? The same is exactly true in eSports. Alongside the explosion in player base that happened after about 2010, websites that stream live tournaments began bringing free entertainment to the masses that craved it. Twitch.tv is the largest online streaming website on the block, with over 100 million unique monthly viewers in 2014 alone. So what does this all mean for the casual observer? You might look at the numbers and say, “Well, I don’t play those games, and I probably never will.” But the truth of the matter is, if you have ever picked up an X-Box controller, you’re a gamer. If you’ve ever watched someone battle the Zerg in StarCraft, you appreciate gaming. If you sit down and soak it in for even a few minutes, you might get the feeling that we all get when we play and watch these games; that fluttering in the stomach, that biting of the tongue, that leaning forward in your chair that says, “Wow. This is pretty cool.” Welcome to eSports.